So, you own a horse or have a friend who owns one, and ever wonder if sweet feed moonshine is a thing? Well, even if you don’t, here’s a quick answer for you – yes, you can use horse feed for making moonshine! Since anything containing sugars or starches can be fermented into alcohol, why must horse feed be an exception? Moreover, making a horse feed mash is fairly simple to make and ferment, compared to certain other types of mash. 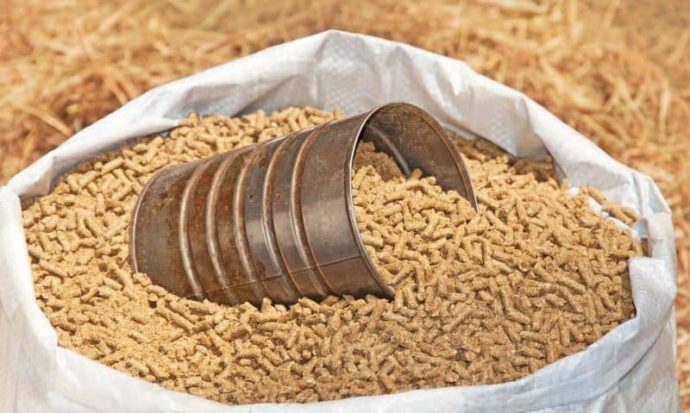 So if you have some extra horse feed lying around at your farm – don’t think twice and run that shine! Pour one gallon of water into the boiling pot, bring to boil. Mix in 5 pounds of sugar until fully dissolved. Pour 4 gallons of water into the fermentation bucket, then add 10 pounds of sweet feed, mix well. Add the sugar syrup, let cool to room temperature, then add yeast. Close the lid tightly, put airlock in place, let ferment for about 10-14 days at room temperature. Separate the wash from the solids either by pouring through a cheesecloth or using a siphon tube, collect the was in the moonshine still. Horse feed is likely to burn to the bottom of the pot of the still, so make sure to filter the wash well when transferring it from the fermenter. Distillers yeast seems to be the best pick for this type of mash, however you can experiment with other types as well. The flavor and proof of the spirit will largely depend on the type of still you’ll be using.